Prominent & Leading Manufacturer from New Delhi, we offer hgm7x10 genset controller and hgm7x20 genset controller. 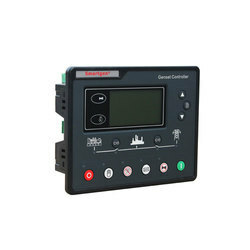 HGM7X10 Genset Controller is integrating digital, intelligent and network techniques, used for the automatic control system and monitor of a diesel generator. It has functions of controlling Genset start/stop automatic, data measuring, “remote controlling, remote measuring, remote communication” and protection alarm. The controller equips with bigger LCD display, Chinese and English option display. It is the easy operation and reliable running. HGM7200/7100 applies for microprocessor technique which can carry out the precision measure, constant value adjustment, timing and threshold setting and etc. Most of the parameters can be adjusted via the panel of the controller while all parameters also can be set, adjusted and monitored via PC by USB port or RS485 port. It can be widely used in all types of generator automatic control system for its compact structure, advanced circuits, simple connections and high reliability. 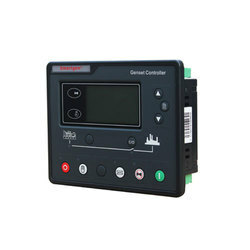 HGM7200/7100 series generator controller is integrating digital, intelligent and network techniques, used for automatic control system and monitor of diesel generator. It has functions of controlling genset start/stop automatic, data measuring, “remote controlling, remote measuring, remote communication” and protection alarm. The controller equip with bigger LCD display, Chinese and English option display. It is easy operation and reliable running. HGM7200/7100 applies for microprocessor technique which can carry out precision measure, constant value adjustment, timing and threshold setting and etc. Most of parameters can be adjusted via panel of controller while all parameters also can be set, adjusted and monitored via PC by USB port or RS485 port. It can be widely used in all types of generator automatic control system for its compact structure, advanced circuits, simple connections and high reliability.